Kakita Zoyu had the most liked content! Traveling through Lion lands, Zoyu had carried herself straight and proud, head elevated to a haughty angle, still melancholy to have left Tsukiko so soon. The animosity between the Lion and Crane was well known, and even more so between the Lion and the scions of Kakita, such as her beloved Toshimoko-sensei. She had pride to match any Matsu. She shook her head in amused wryness as Rin bluntly invited the innkeeper to join them at their table - Rin was always readily treating peasants as practically equals. But Zoyu kept her silence. As able to dissemble as any Crane, and better than most, Zoyu found it near impossible to voice an untruth and besides, the others were already leading Abun to questions they wished answers to - no need for the fellow to face the full attention of four magistrates. Though she preferred sweet sake to dry, Zoyu affected interest in the dry Well in the Stream variety as much as they others. Though not a sailor, with her dancer's grace and swordswoman's poise, Zoyu had adjusted to the motion of the boat with elegant aplomb. But it had amused and not quite scandalized her that Rin had so readily, almost eagerly, joined the sailor's in their work. The Crane might treat their peasants well, but they did not take their tasks upon themselves. The snow-tressed Crane nodded at Kageko and Kamiko. "We may do both at once. We are new to Ikoma's Eye, no? Well, then, we are simply looking for an establishment to suit our needs. We are particular sorts, interested in a particular Sake while we are here. Come, there must be a district that caters to visitors or the sake enthusiast." 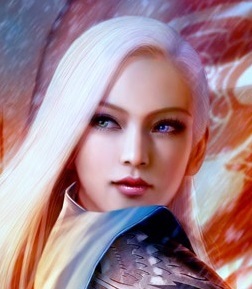 "That would be most kind," Zoyu replied, a pleased curve to her lips as she dipped her minutely towards the innkeeper. Holding the sleeve of her fine kimono clear of the page with elegant grace, Zoyu inked a courteous missive of gratitude to Kitsuki Jotomon for her gift and lessons, adding that she hoped to visit her dojo again at a later time when she passed through Ryoko Owari once more. The lovely Crane spent a longer moment considering her letter to Bayushi Tsukiko, her lips pursed in thought. Once more, duty calls To save the City and You, Till I return, dream Zoyu contemplated the words for a moment, then nodded. She sanded the ink to dry it then shook the sand free neatly back into its pot. She folded the letters with precise strokes, inked who they were addressed to, than handed them to the innkeeper, adding where she believed they could be found. "I am most grateful." Zoyu hefted her back on her shoulder and nodded at her companions. "Thank-you for your indulgence. I am ready to depart now." "May your journey be swift and sure, and may the providence of that foul mask be made clear at its end," Zoyu said, offering her well-wishes to Taka, Akari, and Okimoto as they left to make their preparations South. Zoyu collected the few belongings she had brought to Ryoko Owari and made her way downstairs. She was about to make a request to the innkeeper when he presented Kitsuki Jotomon's gifts to her and Rin. She studied them with clear praise and gratitude. She was a swordswoman and daughter of a bladesmith, she knew quality when she saw it, held it. She dipped her head towards the innkeeping, thanking him for delivering them. "Kitsuki-sama has made an impression on these ones as well," Zoyu replied smoothly, a ghost of grin curving her red lips as her mismatched eyes cut to Rin for a moment. "I wonder how long it may be before the wakizashi earns an impression of its own by being thrown and hitting its mark. If possible, could I be provided with paper and ink? I would like to write a missive expression my gratitude for Kitsuki-sama's gift and well as a letter to one other." It was cruel that she had just reunited with Tsukiko and now was leaving the city. Duty was heavier than a mountain, lighter than a feather, but always, it called, regardless of the heart's yearning. Zoyu tilted her head slightly to the side, considering the question, then shook her head. "If there was something added to the sake afterwards, I am not aware of it, but this one is neither alchemist nor brewer, or even a... prolific imbiber of sake. The merchant I spoke to did say both brands of sake were particularly dry varieties, if that holds any meaning for you." The oddly coloured Crane nodded at Shosuro Kamiko. "Perhaps the disposition of the masks would be a greater lead, but we learned little of them in our first encounter. They seem to similar to the ones we encountered at the Temple of Amaterasu, but we learned nothing of their manufacture or providence. The craftmanship of the masks are quite exquisite however. It may be possible to track down their artisan, if not the one or ones who infused the foul sorcery into them, if the artisan and maho-tsukai are not one and the same." "We would still be most appreciative of your aid," Zoyu amended smoothly, giving Rin a surreptitious glance. "But most esteemed personages... suggested it would behoove us to speak little of that night. Suffice to say, we have seen such masks or some most similar to their like, before. With your greater study, Shosuro Kamiko and the insight of such a one as yourself, Shosuro Miren, do you believe we would be better served seeking this bladesmith or the source of the sake they seem to have partaken of?" "The masks themselves, they are of very fine quality. Not the work of a common artisan. There were crafted with cultivated skill, great innate talent, or both," Zoyu mentioned, "though for my part, I could no tell where or by whom they were made. As for the magic infesting them, we do not know if it is by the same hands. The magic is some manner of foul Maho, though it appears any hand may use the mask once it has been infused with its deviltry. We have seen their like used during an... incident in Tsuma." "It would seem then that something integral to the Cult has changed," Zoyu conjectured. "Either they have gained access to a new source of influence or power they believe would tilt the odds in their favour." She nodded at Kamiko, adding to her comment about the Moon Cult's gamble. "Or there is new leadership, or a play for such, in the Cult of the Moon, one or more who are more ambitious and bold. Perhaps a brewing schism based on the tactics they wish enacted." The Crane woman gave the Scorpion siblings a brisk nod when Shosuro Kamiko spoke of swiftness. "Our preliminary investigations have reveals a pair of threads to unravel derived from the weapons and sake found in their possession. The maker's mark found on the low quality blades the zombies were armed with belong to one Yasuragi, a Ronin bladesmith that can be found in a small Village called Tokoro, off the Beiden pass. In lands belonging to the Bear clan. The sake the cultists had were from The City of the Rich Frog and a brewery found just outside Kyuden Ikoma. In your studies, do any of these places have some connection with the Cult of the Moon, however tenuous?" Zoyu appraised the Scorpion siblings with polite frankness as she finished her tea. Their blue eyes, while not uncommon among the Crane, were rare everywhere else in the Empire and quite fetching, and even exotic in some fashion. They were as pale of complexion as she and dressed in very fine and stylish kamishimo, with complimentary masks ubiquitous among the Scorpion. Zoyu couldn't help but notice the man was very handsome, almost pretty, and very polished in his manner. "We are most pleased to make your acquaintance," Zoyu replied in a low, sweet voice, returning a polite, measured bow. Her mismatched eyes of blue and green were keen with interest, her cerulean kimono trimmed in white and patterned with pink sakura blossoms cut to emphasize her sleek, curvaceous figure and for ease of movement. "This one is Kakita Zoyu, Topaz Champion, and these are Mirumoto Rin, Kakita Kaze, Kitsu Kageko, and Doji Yuzo." The Crane gestured gracefully as she named her companions. Unlike Ujimitsu, her own long hair, elaborately pinned and braided, was naturally a glossy white, save for a lock that was as glistening and black as that of the siblings. "Ujimitsu-san has spoken highly of you both and we would be grateful for any aid in dispatching these troublesome Moon Cultists. Ujitmitsu-san mentioned that you have had experience dealing with their ilk?" "Indeed, just so," Zoyu agreed heatedly, her eyes hardening at the thought of maho-tsukai and those who utilized their foul magics. "Hiju acquitted himself quite well during the tournament and seemed a most excellent hunter and woodsman. I hope his aid will serve you well and I will add my own prayers that Fate and the Fortunes favour you in finishing this Fade and his foul feats." "We will keep that in mind, Ujimitsu-san," Zoyu replied, giving him a small smile, vaguely regretting being so sharp with him and suspicious of his motives, if not actually apologetic about it. "And likewise, if there is some way we may be of assistance in your own investigations, I hope you will feel comfortable in asking. If I may inquire, how has Hiju been since the Topaz Championship?" Zoyu pursed her lips in consideration, then took a sip of tea, savoring it, before dipping her head in assent to Ujimitsu. "It is true that we have just recently learned of the activities of the Moon Cult and know little of them, their practices and goals. It would serve us well to make acquaintance with those who know them better. Many have we encountered in our travels that have aided us with their own particular specialties and knowledge. Rooting out the Moon Cult is most definitely a concern for us now and if these siblings also have a particular interest in the same, I would find it enlightening to make their acquaintance, if it would not be an imposition, Ujimitsu-san." Perhaps the change in Clan was beneficial to Ujitmitsu, though Zoyu didn't think the Scorpion would be as forgiving to outbursts in their name. Still, a harsh method of humbling seemed to have served him well and he offered apologies to her as he should have that would have been crass to demand. She hoped the Scorpion did not make Ujitmitsu regret his decision some day. "Your apologies most appreciated and greatly accepted, Ujitmitsu-san," Zoyu replied graciously with a demure smile. "Under the eyes of Fate and the Fortunes, all things are possible. Please, sit and be at ease." Her mismatched eyes twinkled as she took a sip of tea. "When you heard word of us in Ryoko Owari, did you come to reconnect with old acquaintances and make overdue apologies, or is there additional reason you sought us out? Lord and Lady Bayushi have taken a particular interest in the Jade Magistrates, with their establishment and their providence, it seems to me." Zoyu nodded her agreement with Rin, then her brows rose at the sight of a face she hadn't thought to see again, a man she had not even thought of since the Topaz Championship. "If it does not disappoint, it is still a trial," Zoyu replied, schooling her features to a polite greeting as she dipped her head to her former classmate. "There is no need for apology, Ujimitsu-san. I had not considered remaking your acquaintance here in Ryoko Owari. It is an unexpected turn of events. I trust your a doing well, since...?" Zoyu made a graceful gesture, indicating his attire> Her tone and manner was civil and gracious, but not warm. She had known him since they were both children and while Kakita Satsuma-sama could be a harsh man, Ujimitsu's outburst had been a deep breach of etiquette and she still could not reconcile his decision to switch clans, especially to the Scorpion. "Would you like some tea?" Zoyu offered, indicating the pot, poised to serve if he accepted. "The Fortunes were indeed with us, Kaze-san," Zoyu replied with a soft smile. "The merchant Yuzo-san lead me to was most helpful. Both sakes are from the lands of the Lion." Zoyu quickly gave Kaze and the other magistrates the details. She turned to Rin. "If necessary, do you believe the Tortoise would be amendable to transporting us along the river, if we decide to pursue this avenue of investigation?" Zoyu glided toward Rin, presenting the sheathed kami-favoured katana towards her. "There is more. For all that we have done for Ryoko Owari and his family, Fuketsu-sama has entrusted the enchanted katana to the care Jade Magistrates and would be honored if you would wield it until you see fit that another Jade Magistrate is worthy to wield it."